Boxing is a one of those sports that brings many benefits to you : increases overall athleticism as you focus on improving strength and responding time, increases physical and mental toughness as it puts you through some physical pain and mental work, gives you the ability to protect yourself especially for women living in crowded cities or travel often on her own, increases self confidence and self-esteem, increases (stabilizer) muscles, increases HGH in the body and increases proprioception. Moreover, Boxing is an easy sport that works most of the muscles of your body and improves your cardiovascular system. This is why many A-list celebrities like GiGi Hadid, Gisele Bundchen, Victoria Secret Angels such as Adriana Lima, the Kardashian do boxing to keep themselves fit and ready for their runaway! You might think that picking up boxing can costly but that’s a false! Going for private boxing classes might not be very convenient for most of us. However, you can still enjoy boxing or pick up boxing from home nowadays. How? With a double-end punching bag in your home, boxing can happen anywhere whether in your bedroom at the end of your bed or gym or backyard. You might be confused with all the different options you have found online so we are here to help you out! So why a double-end punching bag? Double-end punching bag is the one that can be attached from the ceiling to the floor unlike the tropical heavy punching bag that you often see in the gym that has to be hanged from a tough ceiling and often can be very painful to punch. As a double-end punching bag is a lot lighter, it is more convenient to move around in your house. It should be set at your eye level for punching combinations and lower for kicking combinations. The 2 most important factors you should consider when purchasing a double-end punching bag are weight and tension of the elastic cord. 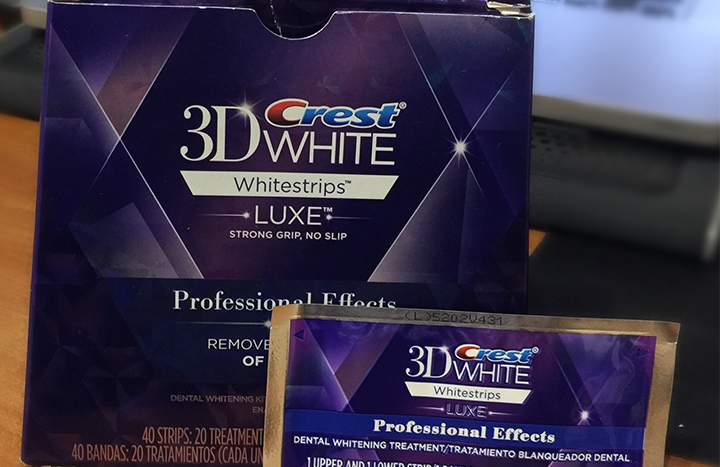 The combination of these two factors will offer you different experiences. 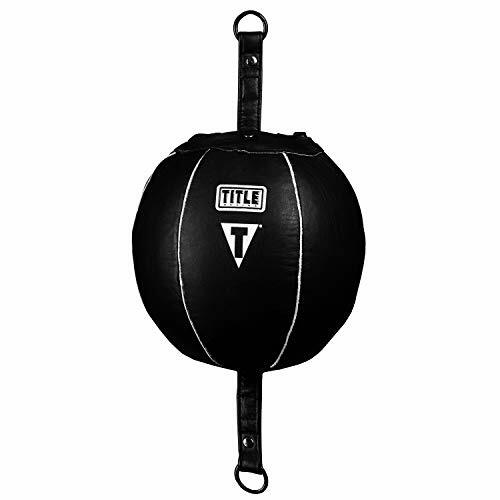 The weight of the double-end punching ball is very likely proportional with the size of the ball. The weight would have an impact on your fists and how much energy you put in to make it spring. When choosing the size, you should take into account of available space. You definitely want enough room for it to spring back and forth. The tension, to put it simply, is the pulling force by each end of the cord attached to the top and bottom of the ball. With high tension, it shall increase the strength of the elastic cord to pull back the ball after your punch or kick. However, if the elastic cord is too light, it is very likely that it won’t have the strength to make a heavy double-end bag rebound fast enough even in high tension. Also, the cord would wear out too quickly due to the heavy weight of the ball. Oppositely, if your double end bag is too light and the elastic cord is too heavy, the bag won’t be heavy enough to stretch the cord and it won’t move at all which in some situations you might want this because you can focus on building your strength and accuracy. Often most double-end punching bag comes with elastic cords in its package. Though, I would suggest you get a variety of elastic cord (at different tensions) so you can vary your boxing routines. Typically, a lighter bag will need a lighter cord and a heavier bag will need a heavier and more sturdy cord. I would highly recommend light cord at light/medium tension for beginners so you can work on your both defense and offense; it is versatile and will challenge you. For those who want a bit more challenge you should go for heavy cord with medium/high tension (Manny Pacquiao trained under that condition before his fights!). It is good for your accuracy and speed rhythms. I have done boxing for about 4 years now and training with a punching bag is always the best. To help out with choosing your own double-end punching bag, we have accumulated our Top 10 Best Double-End Punching Bags for Training of 2019 below that you should definitely check them out! Get yourself trained with Pro Impact Genuine Leather Double End Boxing Punching Bag. A pair of Bungee Cords and S Hooks are included along with this beast to improve your training experience and quick installation. Having gone through various quality test, this lovely punching bag ensures to bring the best for you in terms of efficiency and durability. The ball is hand stitched to the highest standards and has a rubber bladder inside, so that users do not have any problems with ripping. This bag endures fast punching since it’s integrated with reinforced loops and welted seams. 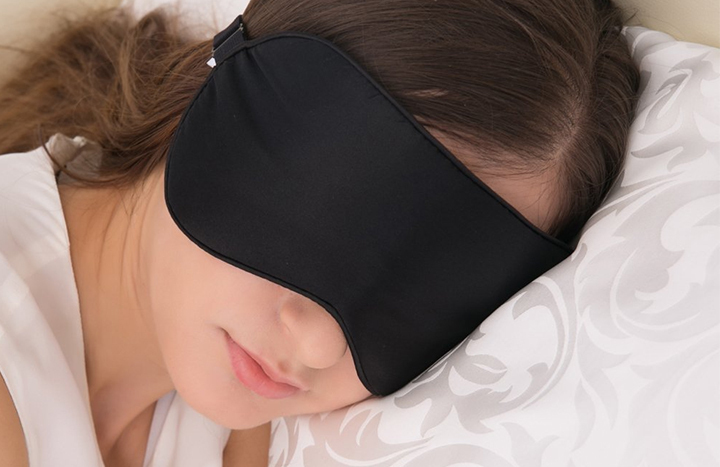 The inner bladder is latex which is a lightweight material, so the bag itself is pretty fast. A usual problem with latex is that it does not hold the air so much time as others. Hence, it should regularly be reinflated. This particular set is proven by satisfied buyers to be the best piece of equipment for developing timing, speed and accuracy. 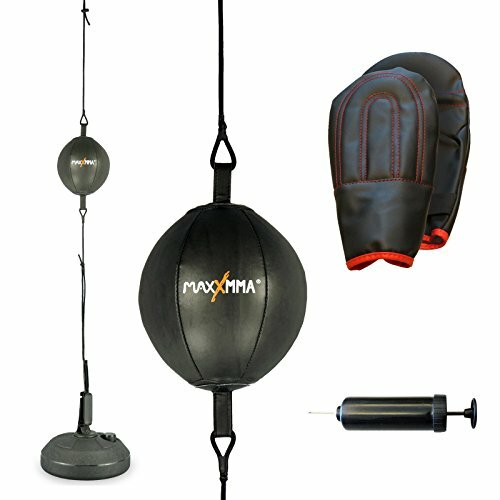 In every training session, this bag helps you to maximize by providing visible results in your punching and kicking technique. The heavy duty spring makes the double end punching bag bounce back to take more punishment. 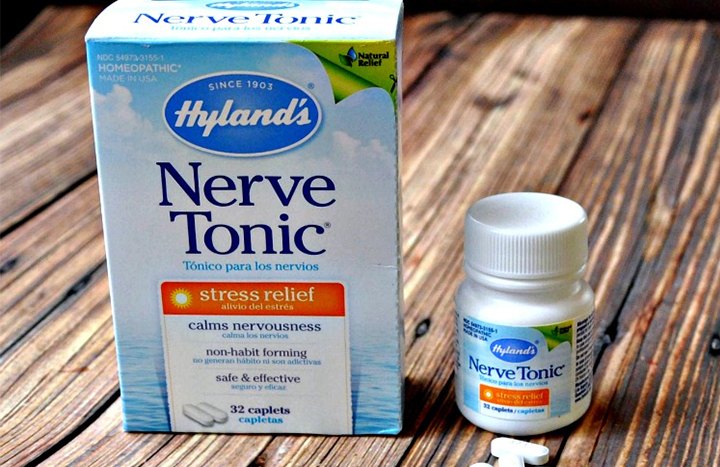 If you are looking to develop your reflexes, that is the product for you. You can learn to dodge effectively and deliver a jab at the same time. While it is great for honing your counterpunching and punching action and your slipping ability, you can feel free to focus on working on your combinations with confidence using the double end punching bag kit. The adjustable door frame fixer enables you to install the punching bag the best way to maximize its use. This also makes the punching bag easy to set up on door frames, since the adjustability lets you customize the height to suit your range. Installation is such a piece of cake since it requires no use of screws while ensuring that your door frame remains damage-free. The elastic ropes have adjustable tension and length to enable customization without requiring tools or special implements. Durability is brought from the material since this bag is made of leather, ensuring durability plus long lasting use. The quality stitching ensures no loose ends and ensures resilience against tears, rips and broken edges. RDX Patent Pending is manufactured from high quality leather double ball lined with 2 layers of textiles to give it extra power. The ball comes with 2 extra heavy tethered straps and 2 extra rubber bungee cords with adjustment blocks both ends with grub screw fasteners. The package also includes two hooks and fixings attached to the floor and ceiling, allowing the ball to move in all directions to develop an excellent hand to eye coordination. This can be used with bare hands, punching gloves or hand wrap. The ball is hand sewn to the highest standards and has a rubber bladder inside, which is inflated with a football pump. 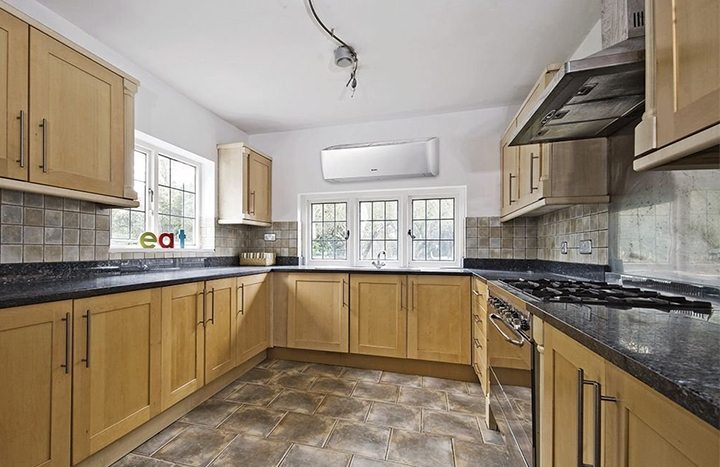 The product is manufactured to the highest specification and is quality tested and guaranteed. Live your martial arts passion with RDX Leather Boxing Speed Ball! MAXxMMA Double End Ball is manufactured to help individuals maximize their potential in boxing. The absolute best equipment for developing speed, timing and accuracy. Made from premium synthetic leather, MAXxMMA Double End Ball is durable and comfortable for your fists and legs, making it Ideal for all punching action, slipping, counter punching and reflex. With MAXxMMA Double End Ball, you not only train your martial arts skills but you train without injuring your fists or legs. 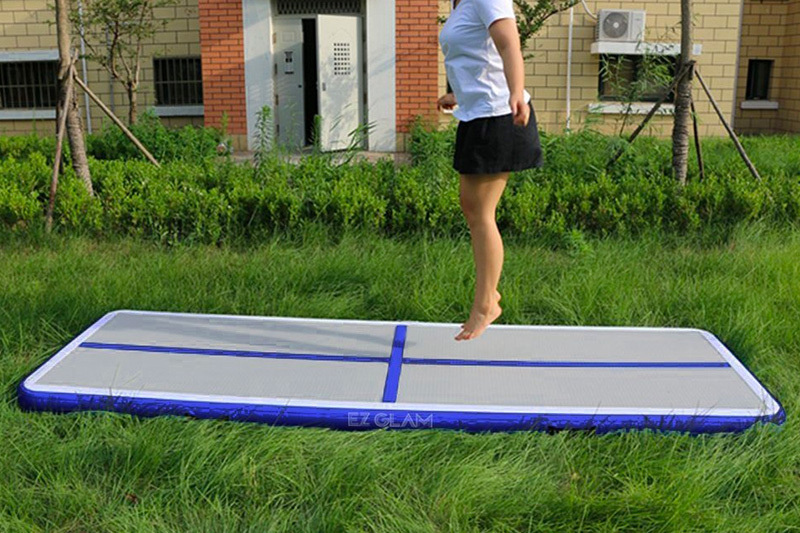 Its heavy duty spring bounces back for more force from you, not better way to burn extra calories. 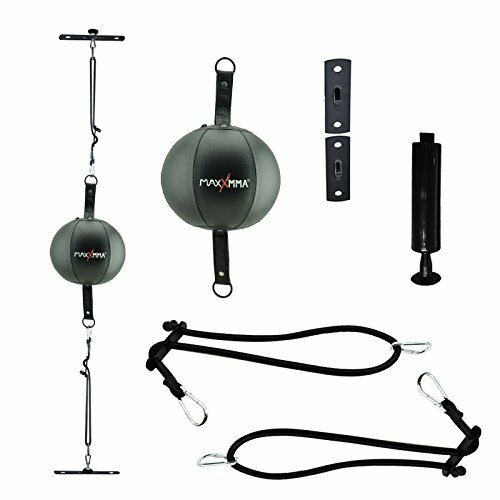 The package includes one MAXxMMA Double End Ball, 2 wall mounts and 2 bungee cords so you can attached the ball from the ceiling to the floor. Learn the most and train effectively with MAXxMMA Double End Ball. TITLE Classic Advanced Double End Bag is an unbelievable double end bag loaded with top of the line amenities. It is crafted with a durable synthetic cover that performs and lasts like leather with welted seams, triple reinforced hanging loops, durable nylon and covered rubber top and bottom hanging cords, metal attachments, extended life butyl rubber inside bladder and a super convenient zippered closure. You can inflate this using your bike air pump so no special air pump is needed for TITLE Bag. It is professionally balanced for truer rebounds and rapid speed. You will love the action of this bag. Earn your title as a boxer with TITLE Classic Advanced Double End Bag. The ability to slip a punch and land an effective counter punch is an essential skill for a boxer to possess. The RINGSIDE Double End Bag will help you focus on these techniques and sharpen your reflexes to become a more fundamentally solid boxer. There are 3 different sizes you can purchase: 5”, 7” and 9”. The larger Double End Bags are great for teaching the fundamentals. The smaller ones are better for developing your quickness and eye/hand coordination. They are made of top quality all leather construction and complete with new, longer, triple reinforced top and bottom loops; hence, there is enough space between the cable and the ball for you to avoid kicking the cable. Double End Bag cables are included in the package so you don’t have to purchase separately. RINGSIDE Double End Bag is perfect for those who love to workout in the dark as it is not completely black, making it visible enough for boxer and puncher. Let RINGSIDE Double End Bag be a part of your boxing journey! Looking for professional help? Top-grade, all-leather shell with triple nylon stitched, leather welted seams for professional results.It is ideal for throwing all punches, slipping, counter punching and reflex training! Extra-long 3.5” twin-ply leather attachment straps, with heavy-duty chrome O-rings on top and bottom have hook-and-loop security in the center – with an inset zipper closure on top – to easily and conveniently get to inside butyl rubber bladder, if needed. Equipped with nylon-wrapped rubber double end bag cable, a braided nylon strap, and top and bottom metal security hangers, if needed. It assures lightning quick rebounds and action for all skill levels. Enjoy extra service from KUYOU Ball Speed Training Ball. 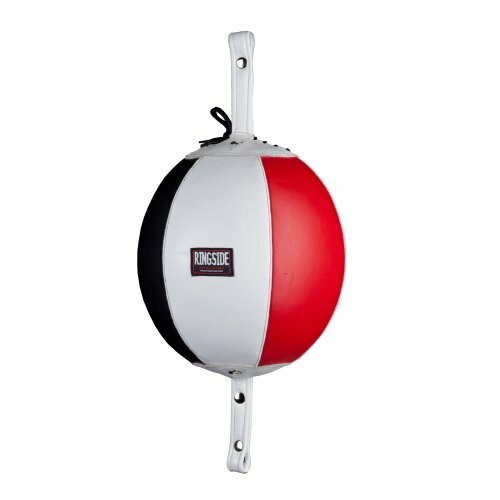 DJDZ Boxing Speed Ball is made with 2 layers of durable quality textiles inside and PU leather outside, super elastic strips (not easily snapped off, strong extension and high elasticity) and stronger hooks that connect the two ends of the ball to the floor and ceiling. The double-end rubber bladder inside the ball can be easily inflated with an air pump, and deflated and put away when not in use. 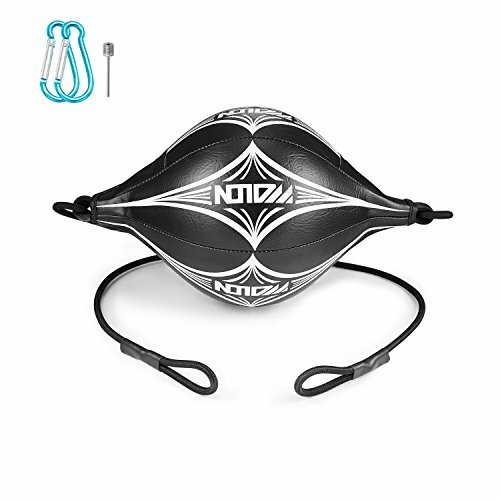 Its tight gas nozzle design makes convenience to inflate the ball. DJDZ ball is practical and hard-wearing; it offers ncredible touch and feel is definitely ideal for boxing, free combat, kickboxing or other punching training, etc whether at home or your gym. Enjoy 1 pump needle and 2 ring locking in the package. With 100% perfect customer service, DJDZ won’t disappoint you. Punch DJDZ Leather Boxing Speed Dodge Ball everyday for a fitter physique. Landing on the number spot is a highly recommended SGODDE Speed Boxing Ball. 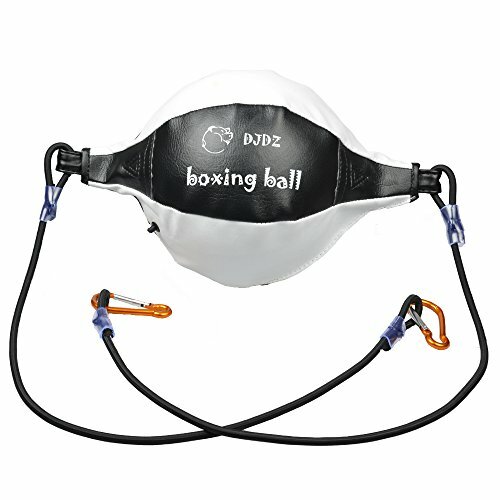 This punching ball is the best choice both amateur and professional players to increase speed, coordination and endurance, and also for starters and people who loves exercises to enjoy the fun of boxing as it can help you to burn calories, tone body, and relax and relieve life and work pressure. 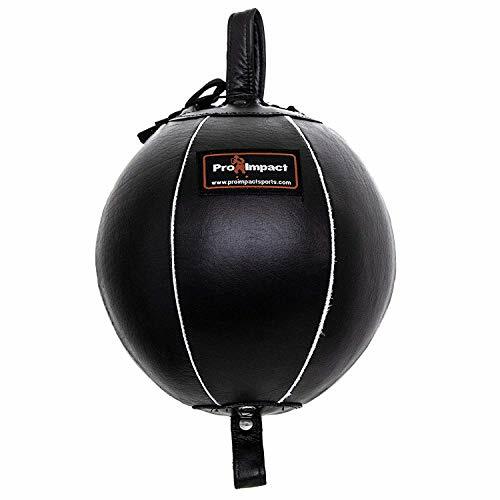 The punching ball is made with 2 layers of quality textiles inside and PU leather outside, is practical and hard-wearing and offers incredible touch & feel. The double-end rubber bladder inside the ball can be easily inflated with an air pump, and deflated and put away when not in use. 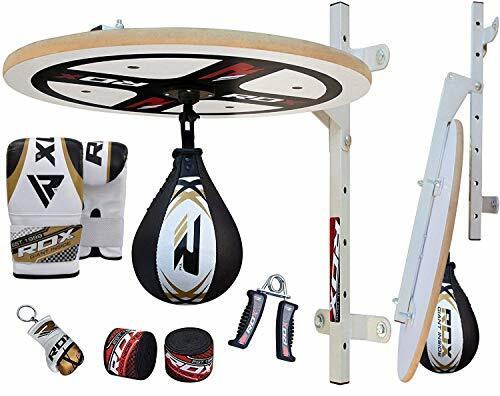 It comes with 57.09-inches elastic strips and D-shaped hooks that connect the two ends of the ball to the floor and ceiling, allowing the ball to move in all directions and to train your eye-hand coordination. 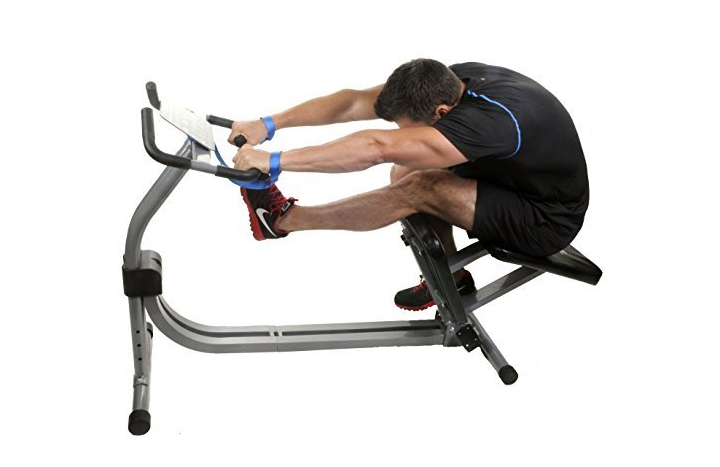 Specially designed for boxing and other punching training, and for professional use in gyms as well as workouts at home to enhance your agility, accuracy and reflexes. SGODDE is suitable for boxing, free combat, kickboxing or other punching training. Punch SGODDE Leather Speed Boxing Ball everyday to build muscle, relieve stress and refresh yourself! 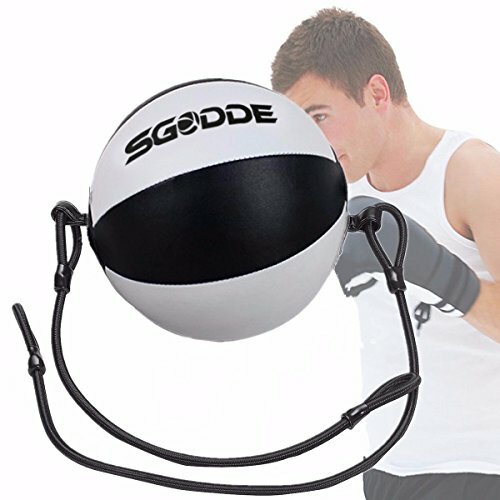 Make SGODDE Leather Speed Boxing Ball your partner in your new healthy lifestyle process! We hope our Top 10 Best Double-End Punching Bags for Training of 2019 Reviews has been a helpful shopping guide to you by giving you the basics on choosing a punching bag. You can now purchase one or more of these speed punching bags for your gym or house or as a gift to your partner or friends (there’s no better gift than a punching bag to keep them healthy and fit!) Train hard with our top 10 Best Double-End Punching Bags for Training of 2019!